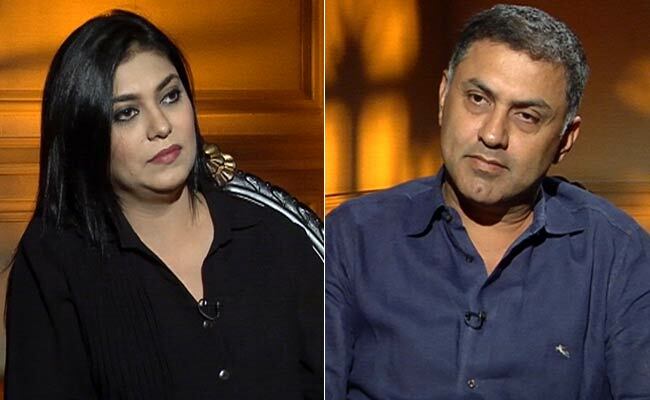 NEW DELHI: "There is a big party going on for start-ups, but some will wake up with a hangover," Nikesh Arora, President of $70 billion Japanese telecom and internet giant Softbank told NDTV in an exclusive interview. Japanese telecom giant SoftBank that owns one-third of China's Alibaba.com has also invested in a number of Indian start-ups including Snapdeal, OYO Rooms, Ola Cabs and Housing.com. Nikesh Arora, who was the fourth most-important person at Google, quit the tech giant last year to join SoftBank. He has recently been named as the President and the successor of SoftBank by its founder Masayoshi Son. His SoftBank compensation at $135 million (approx Rs. 850 crore) makes him the highest paid India-born executive beating Microsoft's Satya Nadella and Pepsi chief Indra Nooyi. When asked about his mind-boggling compensation, Nikesh told NDTV, "A lot of the math around my compensation is sensational. People don't have the numbers right. Yes, I do get paid well. But if I wasn't adding value. I would give it back," he said. Nikesh Arora is now betting big on the Indian e-commerce space and looking for more start-ups to fund. "India's time has come. There will be a huge amount of growth in the next 10 years in India. Start-ups will create a new kind of consumerism in India." He says India is now more "investor friendly" and is off to a good-start. Nikesh Arora says Softbank is investing millions of dollars in start-ups not to "sign cheques and drive up valuations. "Instead, the Japanese telecom giant is looking for ways of having a legacy that lasts 300 years by "creating the future Bill Gates, Jack Ma, Steve Jobs of the world." Softbank's recent investment in OYO rooms, a budget hospitality start-up founded by 21-year-old school pass-out Ritesh Agarwal has created a huge buzz. Describing the young entrepreneur, Nikesh says, "I have met many entrepreneurs around the world. He (Ritesh) will match them dollar-to-dollar in his maturity and ability to talk about business, ability to absorb and ability to listen."